National Hispanic Heritage Month is a time to recognize the contributions made and the presence of Hispanic and Latino Americans in the American melting pot. 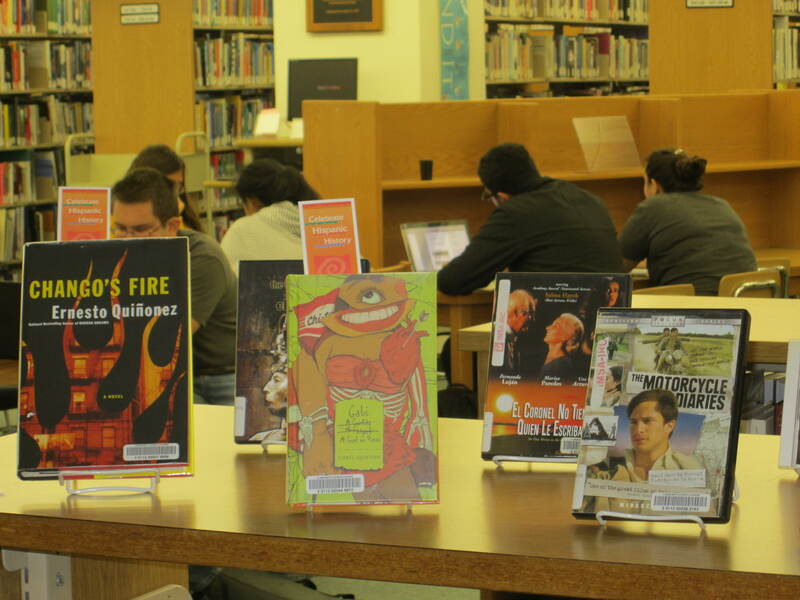 This celebration runs from September 15th to October 15th, and the new display in the IRC Reference area is full of young adult and adult fiction written by Hispanic/American authors and DVDs with stories from other countries, including Cuba and Spain. There are also CDs with music from Mexico and other lands. Through the stories on display, readers, listeners or watchers can learn about the influence Hispanics have had on this country with their centuries’ old traditions. Those who immerse themselves in these stories will learn about the multiethnic and multicultural customs of the Hispanic community. The roots of Hispanic Heritage Month go back to 1968 and begin with the anniversary of the independence of these Latin American countries: Costa Rica, El Salvador, Guatemala, Honduras and Nicaragua. Mexico, Chile and Belize also celebrate their independence days during this period. 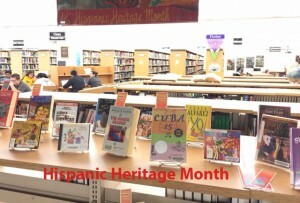 Puerto Rican, South or Central American and Spanish culture or origin are all included under the umbrella of the terms Hispanic or Latino, according to the website hispanicheritagemonth.org. 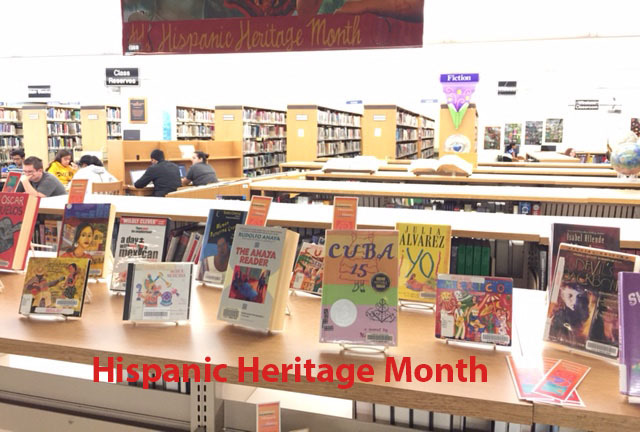 The Hispanic population is growing in the United States and the National Hispanic Heritage Month display is a good resource to learn about this segment of our population. 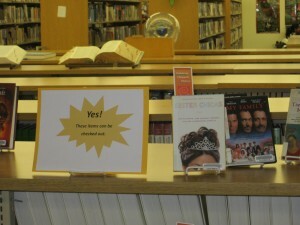 All of the items on display can be checked out. This entry was posted in Displays on September 30, 2015 by nluebke. Banned Books Week brings attention to the books that have been banned or challenged by groups or individuals. 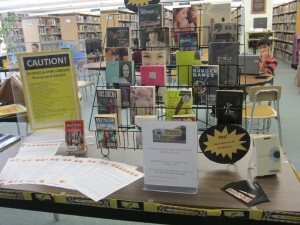 This year the focus of Banned Books Week is on banned or challenged Young Adult books. 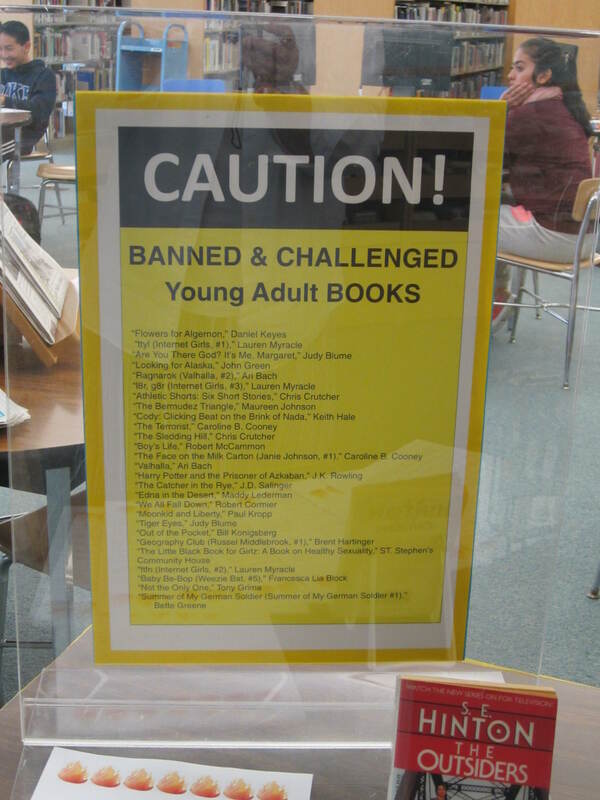 The display in the IRC has challenged or banned books from the library collection and a list of additional Young Adult books that have been challenged or banned that are not part of the library collection. 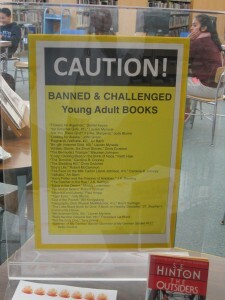 There are also printouts explaining why some of the books have been challenged or banned throughout the years. 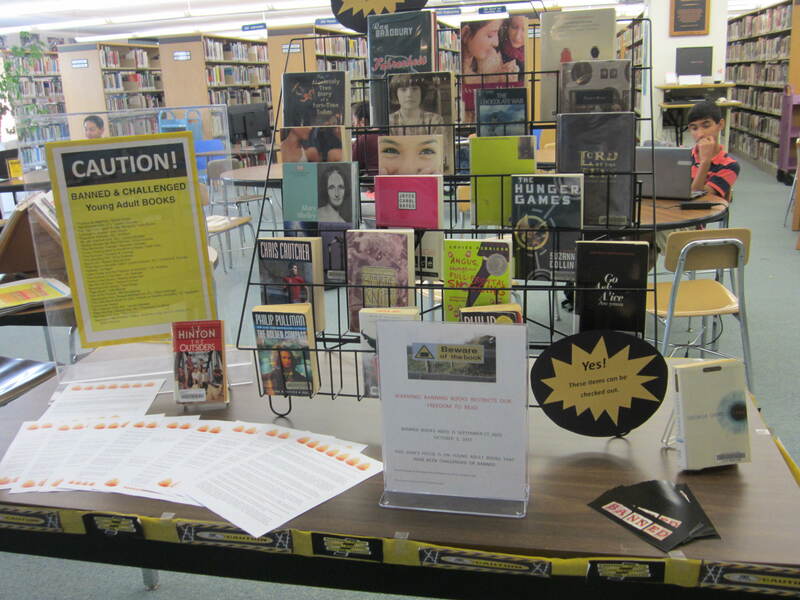 Stop by to learn about books that have been banned or challenged and exercise your freedom to read by checking out one of the books on display. 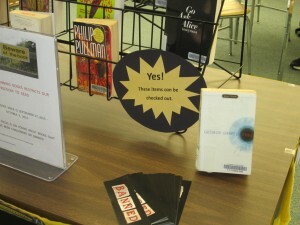 There are also free “Banned” bookmarks on the table for anyone who is interested and in need of a bookmark. This entry was posted in Announcements, Displays on September 15, 2015 by nluebke. On Friday, September 18, 2015, former astronaut Michael J. Massimino, will speak at a midday assembly. The retired astronaut is now an engineering professor at Columbia University, and will look familiar to “The Big Bang Theory” television show watchers. Massimino appeared as himself in the series when Howard went to space several seasons ago. Massimino, who has M.S. and PhD. degrees from MIT and a B.S. degree from Columbia University, is a former NASA astronaut who went on two space shuttle flights to repair the Hubble Telescope. His space flights took place in 2002 and 2009. The PBS program, “NOVA,” followed Massimino and the other astronauts who took the Atlantis to work on the Hubble space station in 2009. During an interview with PBS before the “NOVA” program aired, Massimino said that “NOVA” followed the astronauts for a year and a half, covering the training for the Hubble mission, the astronauts getting ready for the flight and their activities on the mission. 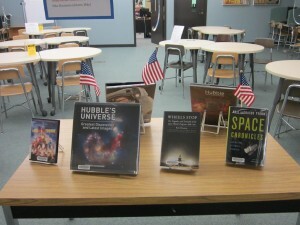 “We changed batteries, changed gyroscopes and repaired some instruments on Hubble,” said Massimino in the PBS interview. He also mentioned that he took five space walks, one of which was five hours long, on the Hubble mission. Follow Massimino on Twitter at: @Astro_Mike, where he writes about all things space and science. 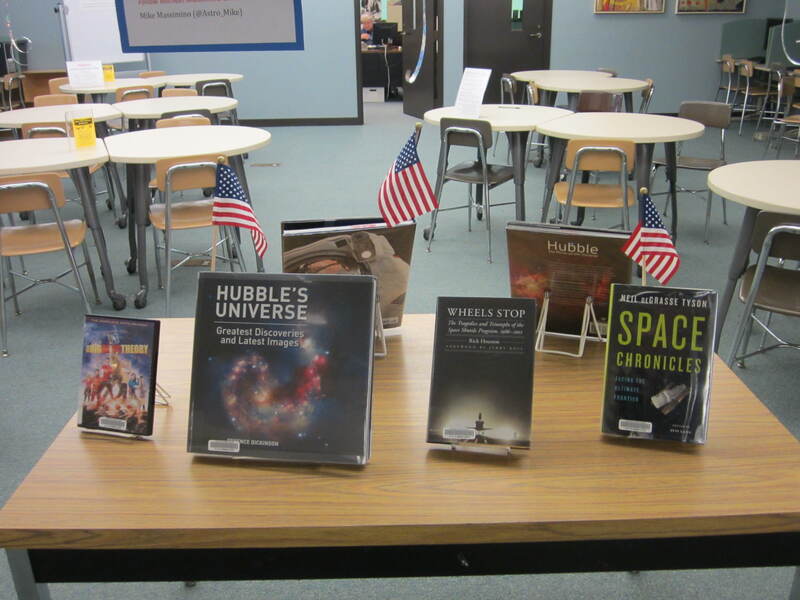 Or explore space and Hubble by checking out any of the space related books on display in the IRC near the Reference Desk. 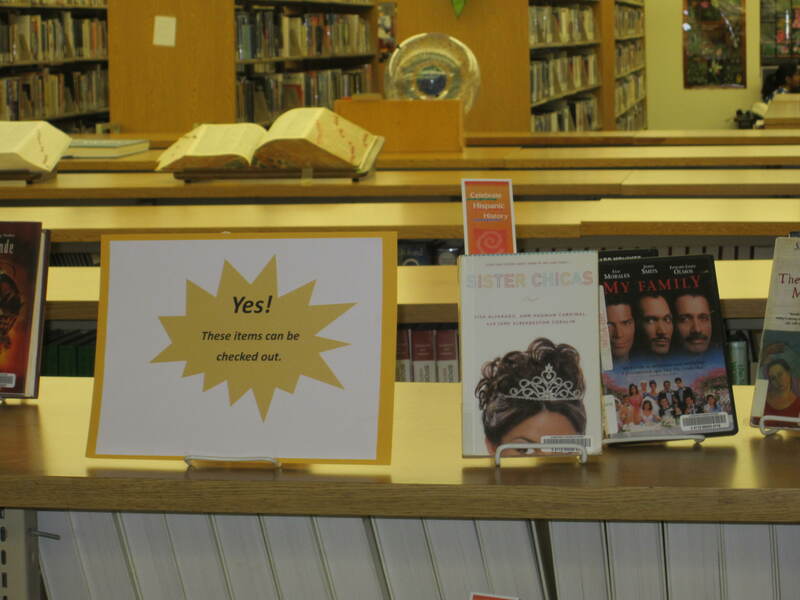 Display created by Jeanette Clark and Connie James-Jenkin. This entry was posted in Announcements, Displays on September 14, 2015 by nluebke. This Saturday, September 12, 2015, the IRC will be open as part of Parent Day. 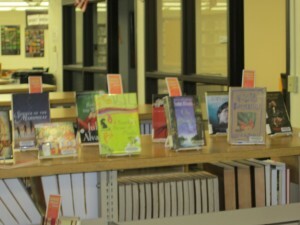 Students are welcome to use the library from 9:00 a.m. until 1:00 p.m.
On Parent Day, parents follow a mock class schedule of their child for a half day. 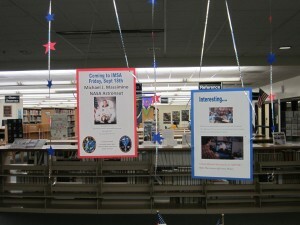 Not only will parents get the feel of being an IMSA student, they can also get a taste of the classes their child is taking this semester. 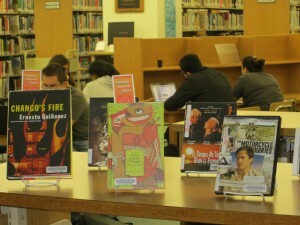 While the library is open for this half day event, stop by to spend some time studying or check out the latest book, DVD or CD. This entry was posted in Announcements on September 9, 2015 by nluebke.